It’s winter holidays here, that means that I need art activities that are interesting and challenging for the bigger kids, but also easy enough for Noah (four years old) to join in. 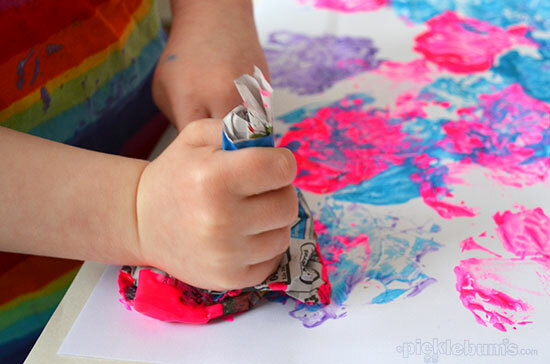 Today we decided to experiment with newspaper and paint. 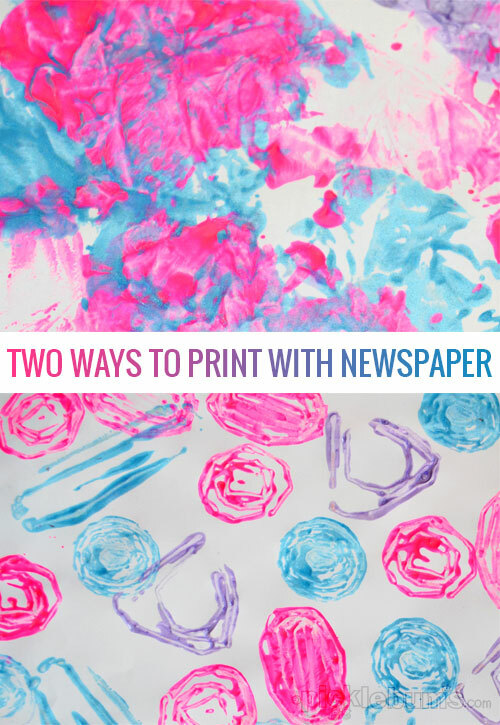 We came up with two ideas for printing with newspaper, one super simple, and one a little more challenging, but both really fun! 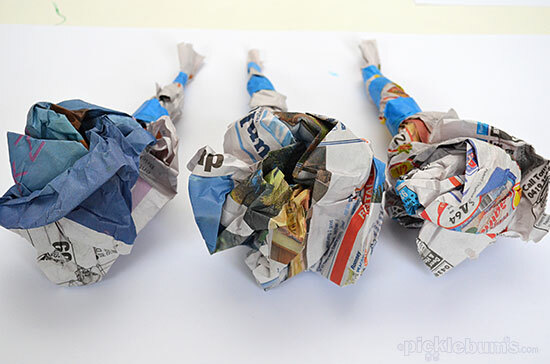 Our first idea was to scrunch up newspaper to make big paint dabbers. 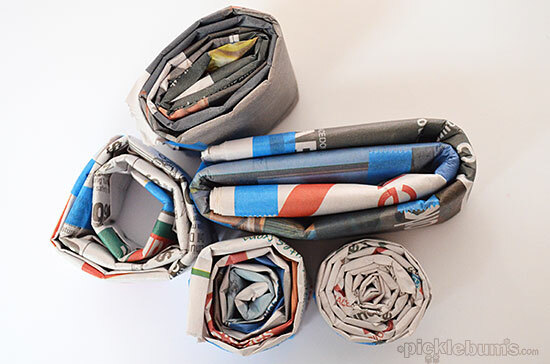 We scrunched up the middle of the newspaper sheets and twisted the ends together to make a handle. 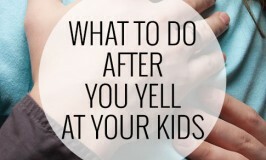 We added a bit of tape to keep them together and we were ready to go. 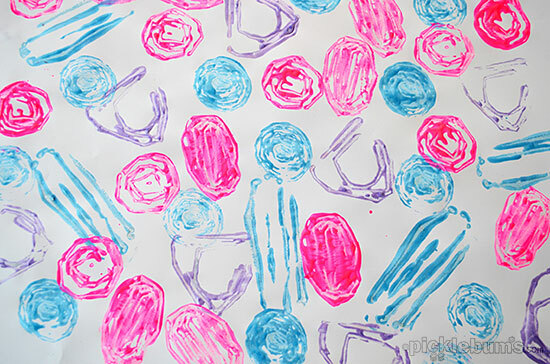 We chose some metallic paint and some fluro paint, dipped the newspaper dabbers into the paint and pressed them onto the paper making scrunchy, squishy patterns which look a little like fireworks! Next we decided to make some more interesting stamps newspaper. 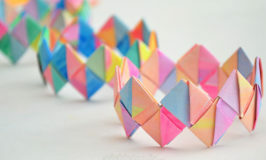 We began by rolling or folding the paper into long tubes or strips, and then folding and rolling those into different shapes. We ended up with spiral circles, ovals, and a vaguely triangular shaped newspaper stamp. 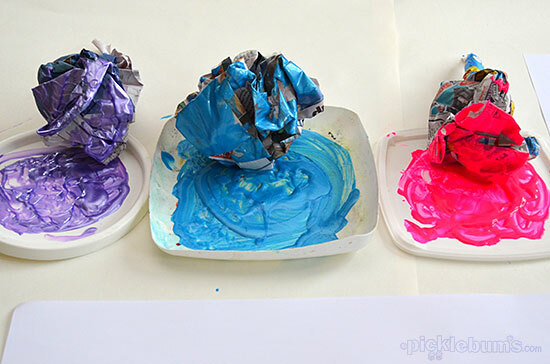 Again, all we did was dip the rolled and folded newspaper in to the paint and pressed them onto the paper. They made a great variety of shapes and patterns. We printed till we ran out of places to put the paintings to dry! Eventually the newspaper dabbers and stamps got a bit soggy with all the paint, so we put them in our open fire and just like that, clean up was half done! 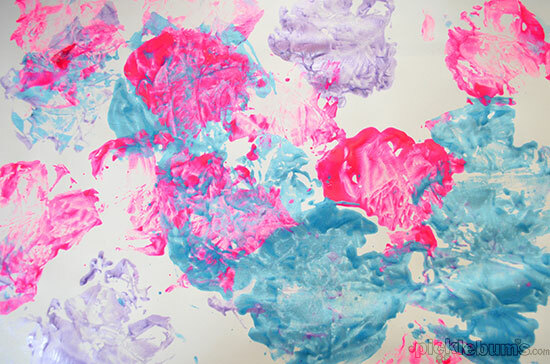 I love it when an art project works for all ages, has fun and interesting results, and is super easy to clean up! Win all round! 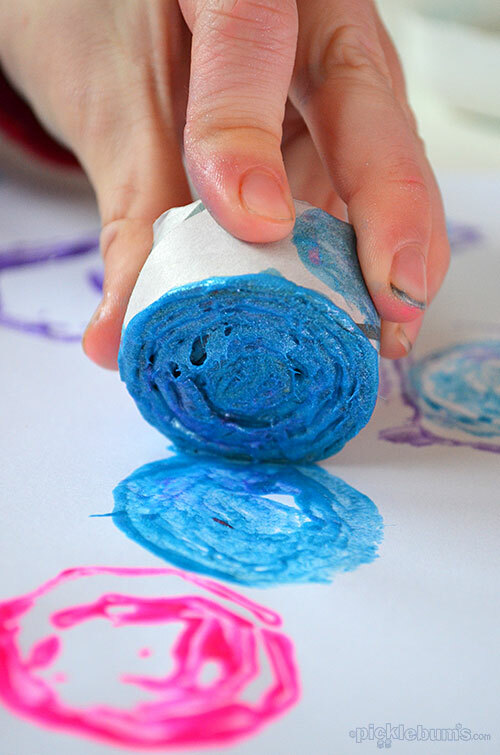 What’s your favourite easy art activity?